Queen : Live at Wembley Stadium CD (2003)Title: Live at Wembley Stadium Artist: Queen Genre: Rock/Pop|Rock Duration: 111 mins Format: CD / Album Type: CD No. 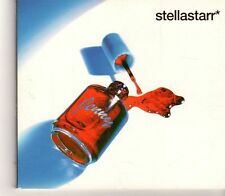 of Discs: 2 disc(s) Studio / Label: EMI Music UK UK Release Date: 14 Jul 2003. Queen : Live Killers CD (2003)Title: Live Killers Artist: Queen Genre: Rock/Pop|Rock Duration: 89.50 mins Format: CD / Album Type: CD No. of Discs: 2 disc(s) Studio / Label: EMI Music UK UK Release Date: 08 Sep 2003. Jenny 4:20. CD in mint/near mint condition in digipak with remains of a sticker on the reverse. 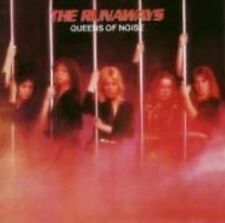 The Runaways : Queens of Noise CD (2003) NEW Title: Queens of Noise Artist: The Runaways Genre: Rock/Pop|Rock Duration: 37 mins Format: CD / Album Type: CD No. of Discs: 1 disc(s) Studio / Label: Cherry Red UK Release Date: 06 Oct 2003. Jesse Malin 4 x CD Singles In Excellent, Like New Condition: Wendy; Queen Of The Underworld; Mona Lisa; Broken Radio (duet featuring Bruce Springsteen). Mona Lisa/ New World Order (Remix)/ Holy Ghost. QUEEN OF GOSPEL. About Speedyhen. 1 9 Blonde. Red Machine CD (2003) NEW Title: Red Machine Genre: Rock/Pop|Punk/New Wave Format: CD / Album Type: CD No. of Discs: 1 disc(s) Studio / Label: Indianola UK Release Date: 15 Dec 2003. Audio CD (12 May 2003). That's Amore. Dancing Queen. Where Do I Go ?. Because Of You. Audio CD (20 Oct. 2003). Label: Screen. 1 1 Dancehall Queen (Bonzai Mix) - Beenie Man. 1 6 Dancehall Queen (Delano Renaissance Mix) - Beenie Man. 1 12 Dancehall Queen (Maurice Joshua Club Hall Mix) - Beenie Man. 1 11 Joy Ride - Wayne Wonder, Baby Cham. Very Good Condition Excellent To Mint Condition Or. Always Investigated Fully. 20-20 Recordings. UK £0.00, extra copies add £0 per item. UK Parcel Force 48 hour £9.50, extra copies add £9.50 per item. We have offices near London in the UK, Las Vegas in the USA, Hiroshima in Japan. Mahalia Jackson : Queen of Gospel CD (2003)Title: Queen of Gospel Artist: Mahalia Jackson Genre: Gospel/Christian|Black Gospel Duration: 50.30 mins Format: CD / Album Type: CD No. of Discs: 1 disc(s) Studio / Label: Fabulous UK Release Date: 22 Sep 2003. Queens of Noise. Format: CD. Midnight Music. Classic Artists. Label: Cherry Red. Sale Corner. Take It Or Leave It. 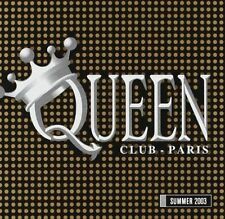 Tabloid Queen [Radio Mix] 3:10. Tabloid Queen [Shanghai Surprise Mix] 6:42. Tabloid Queen [R&B Mix] 4:12. Great collectors item:- promotional CD as given to Radio Stations and Music Reviewers, limited availability. The Lost Chord. The Royal Star and Garter March. Handel in the Strand. Barwick Green. Label: Bandleader. Number of Discs: 1. Suite - Pineapple Poll: Finale. Suite - Pineapple Poll: Poll's Dance. QUEEN - A Kind Of Magic / Radio Ga Ga promotional UK 5" CD single issued in 2003 by Parlophone / EMI. On the CD it states 'For promotional use only! Not for resale.'. It is still sealed in it's original shrink making it all the more collectable. Not Another Pop Queen 3:39. Great collectors item:- promotional CDr as given to Radio Stations and Music Reviewers, limited availability. Beautiful Miserable 4:31. Arranged By – Earle Mankey, Kim Fowley, The Runaways. 1 Queens Of Noise. Released: 2003. Country: UK. Format: CD, Album, Reissue. 3 Midnight Music. © 2003 Cherry Red Records. Mastered By [Mastered To CD By] – Alan Wilson. P/M Jim Motherwell : Queen's Piper CD (2003)Title: Queen's Piper Artist: P/M Jim Motherwell Genre: Folk|Scottish Folk Duration: 50.30 mins Format: CD / Album Type: CD No. of Discs: 1 disc(s) Studio / Label: Scotdisc UK Release Date: 10 Mar 2003. JESSE MALIN. Queen Of The Underworld. UK £0.00, extra copies add £0 per item. UK Parcel Force 48 hour £9.50, extra copies add £9.50 per item. REST OF WORLD [INC CANADA] £3.85, extra copies add £1 per item. Audio CD(22 April 2002). Format: CD. Label: Bandleader. Maria, Tania - The Very Best of Tania Maria: the Queen of Brazilian Jazz. Title:Maria, Tania - The Very Best of Tania Maria: the Queen of Brazilian Jazz. Artist:Maria, Tania. Your item will be previously owned but still in great condition. Dancing Queen 2:34. 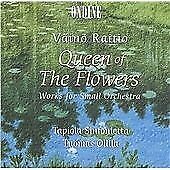 CD on Warner Classics label. Where Do I Go?. CD IS IN GOOD CONDITION WITH A FEW LIGHT SCUFFS. Queen - Live At Wembley Stadium. Title:Queen - Live At Wembley Stadium. Your item will be previously owned but still in great condition. The disc will play perfectly without interruption and the case, inlay notes and sleeve may show limited signs of wear. MUSICBANK CD. SEALED / MINT CONDITION. Title: Live Killers. Title : Live Killers. Artist : Queen. Condition : Good. Product Category : Music. List Price (MSRP) : 17.99. Binding : Audio CD. Release Date : 2003-09-08. All inserts - Front booklet and Rear insert are present and in excellent condition. Queen of Cuban Rhythm: the Legendary Saoco Recordings 1959-1965. Title: Queen of Cuban Rhythm: the Legendary Saoco Recordings 1959-1965 Item Condition: used item in a good condition. Sourced directly from the manufacturer or distributor of the original release. RegionCode: - Number Of Discs: 1. The Songs of Queen Karaoke. Condition is Very Good. Dispatched with Royal Mail 1st Class Large Letter. Carol Douglas. The Largest Collection in Germany. Second Hand and New. Genre: Electronic – Trance, Techno. –Queen Vanguard. Flash (Flash Radio Mix). Flash (Flash Mix). Norbert Gubo : One Is Not Enough CD (2003)Title: One Is Not Enough Artist: Norbert Gubo Genre: Classical|Vocal Duration: 54.30 mins Format: CD / Album Type: CD No. Disc 1 12 That's Amore 2.42 mins. Disc 1 10 Dancing Queen 3.34 mins. Artist : The Starsound Orchestra. Title: Plays the Music of Queen. Title : Plays the Music of Queen. Binding : Audio CD. Format: CD. Product Category : Music. Format : CD. Release Date : 2003-02-05. JAMIE PEARCE. TABLOID QUEEN. Picture for illustration only. VERY GOOD CD, IN PLASTIC WALLET NO COVERS OR CASE. Artist: CHOIR OF QUEEN`S COLLEGE / CAMBRIDGE. Title: SONGS OF HEAVEN & EARTH. Format: CD. Condition: New. Condition VG Inserts EX CD. Post 50p per CD after first, up to 4 in total. Queen & ben elton,We Will Rock You [London Cast] - We Will Rock You [Original London Cast.... Condition is Very Good. Flash Trance (2003, EMM). Queen Vanguard, Master Blaster, Kai Tracid, Kate Ryan, Milk Inc., Scooter. The Largest Collection in Germany. Second Hand and New. Here you may buy music at very low prices. QUEEN - We Will Rock You / We Are The Champions. Another One Bites The Dust - New LP Version. Another One Bites The Dust - Team 1 Black Rock Star Main Pass mix. Another One Bites The Dust - Team 1 Black Roack Star Radio Edit. Including the New LP version, plus Team 1 Black Rock Star Main Pass and Radio Edit mixes.